Texas Public Radio (KSTX) in San Antonio is seeking a qualified individual to manage the station's local news department. Degree in journalism, communications, or related field, or equivalent experience. Three years management experience of a news department a must. Proficient in audio software such as SoundForge, Audacity, or Adobe Audition on Windows. Knowledge of and experience with public radio reporting styles and methods is preferred. Bilingual in Spanish/English. Five years experience reporting for radio. Maintain TPR’s news operation and will supervise staff activities related to news operations of the organization. Plans and develops news department’s long and short term strategic goals. Provides editorial guidance and oversight of the writing, production and performance of news staff to ensure station’s local news coverage meets the highest standard of quality and editorial accuracy in accord with national standards. 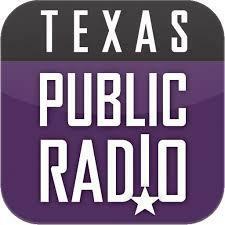 Develops news content across Texas Public Radio’s various platforms (radio, mobile, web, etc.). Creates community forums, debates, and special series programming. Serves as the liaison between TPR and NPR, PRI, and APM to develop local story ideas for broadcast within national newsmagazines and news programs with news staff and freelancers. Develops the editing, story development, interviewing technique, content creation and production skills of the news staff, freelancers and interns. Manages on air news anchor shifts and fills shifts, if necessary. Assists with promotional and fundraising activities. Interested candidates must submit the required documentation listed below to HR2014@tpr.org. Documentation: Cover letter, resume, reference list & salary requirements (not salary history). TPR is an EOE employer.